Not only the bride wants to look great on the wedding day. It's one of those occasions when every invited person makes a lot to have the perfect outfit. 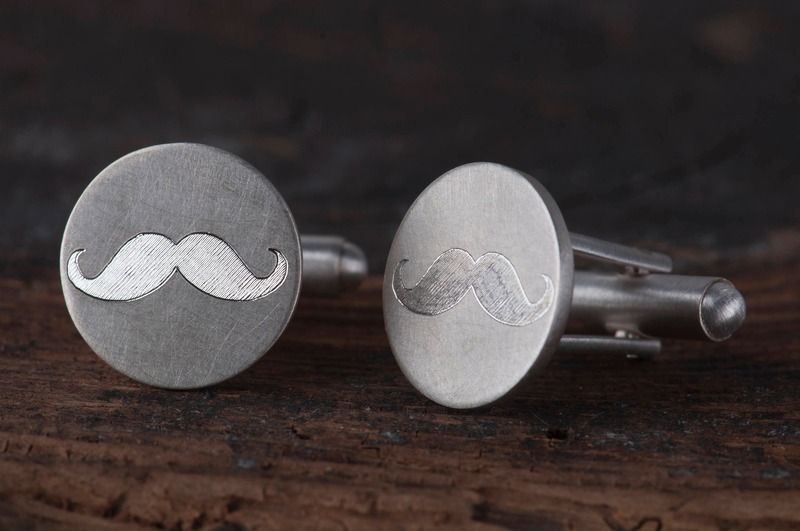 And in this time the must-have accessory for men will be a set of wedding cufflinks. 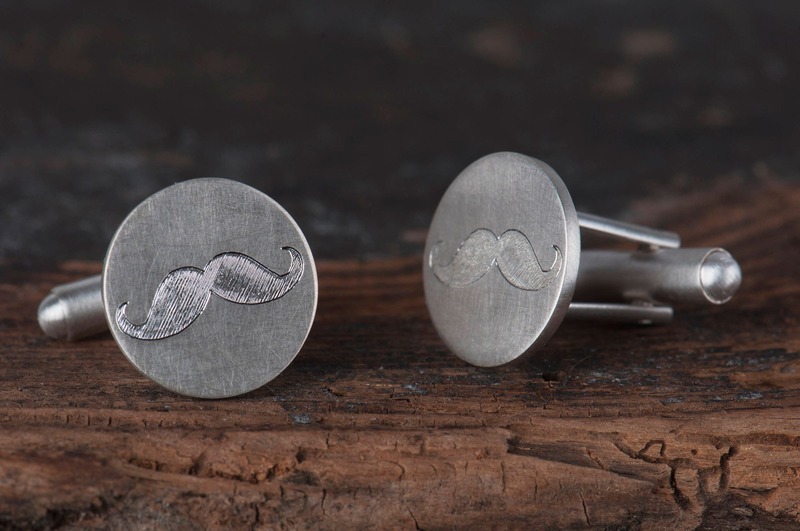 You'll find many types of cufflinks on the Internet and it can be the reason why you'll have a problem to choose ones would be the best for you. 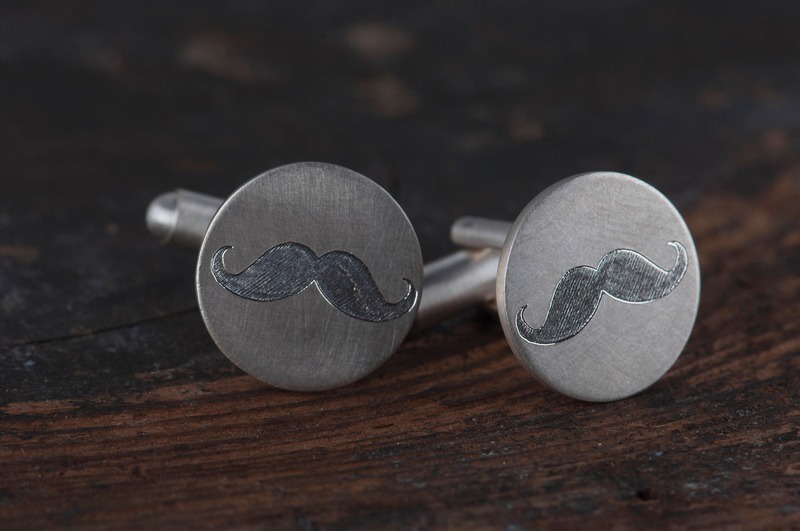 I offer you simple but also elegant cufflinks with a mustache. They are not paper under the glass like many cheap cufflinks you may see. They are entirely handmade. 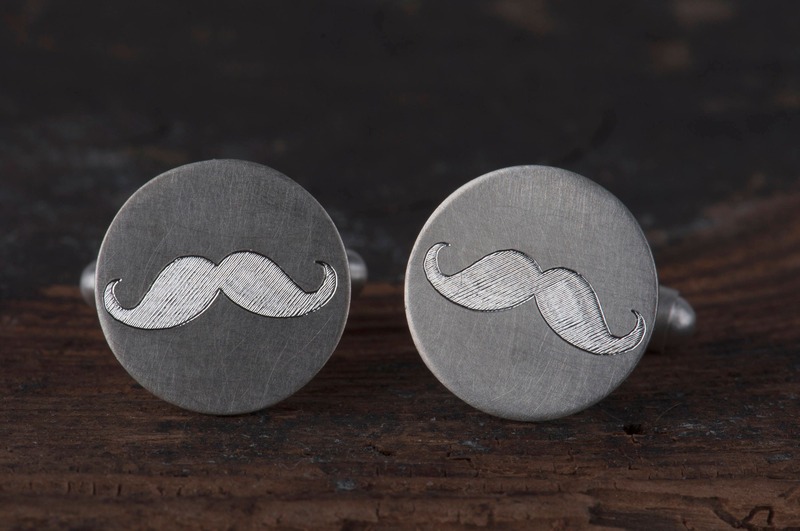 This cufflinks are made from sterling silver, with satin finish and shiny engraving. 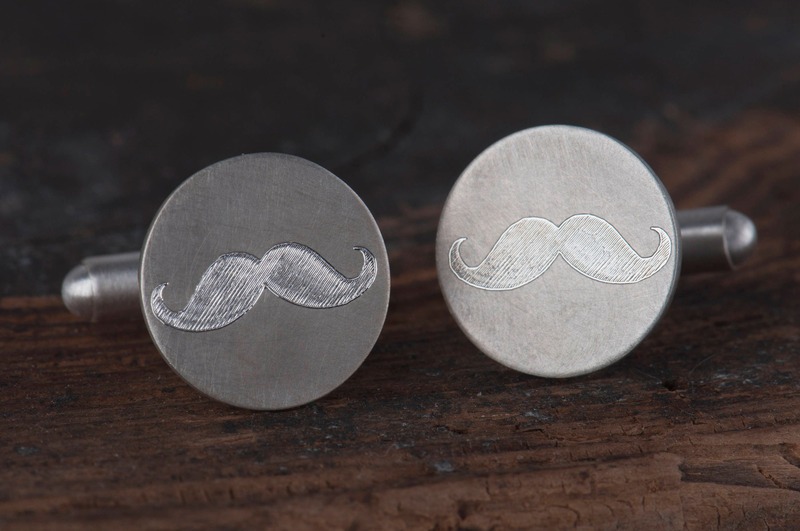 You can see on the photos how they look in different light - sometimes dark mustache are contrasting with satin surface of the round plate, sometimes they are fully bright and sometimes only the mustache shimmers in the light. 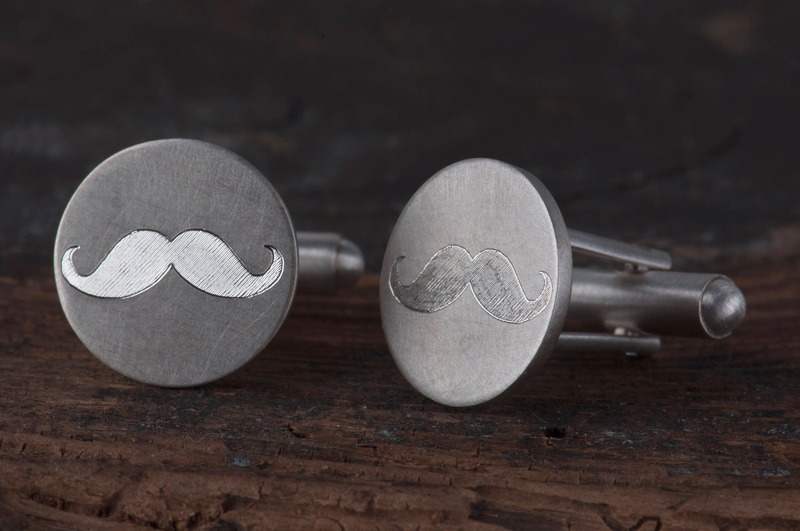 If you choose these wedding cufflinks you can be sure you'll receive jewelry which last for years. 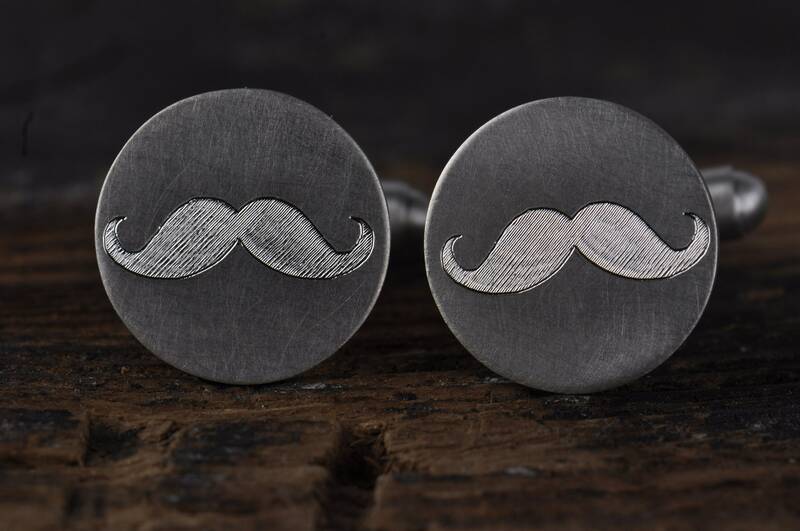 These mustache cufflinks will be a great gift not only for the groom. 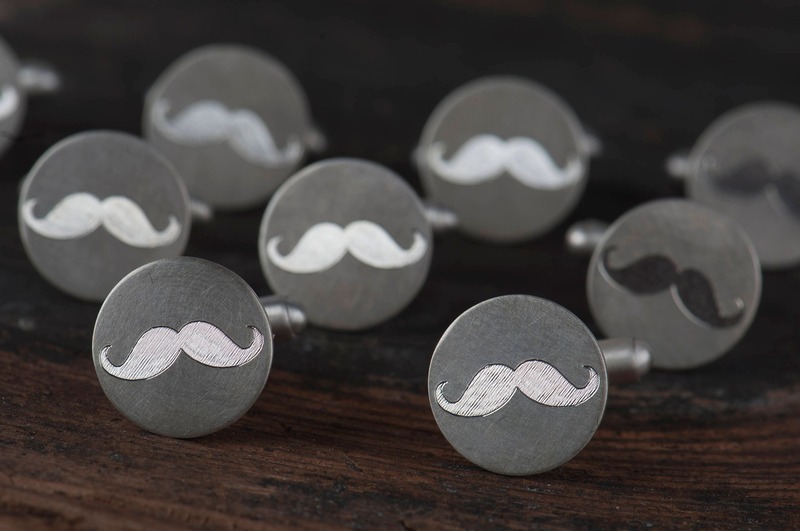 They will make a great present for all men who are important to you: dads, husbands, fiancés, groomsmen, partners, brothers and friends. They will also make every barber really happy. 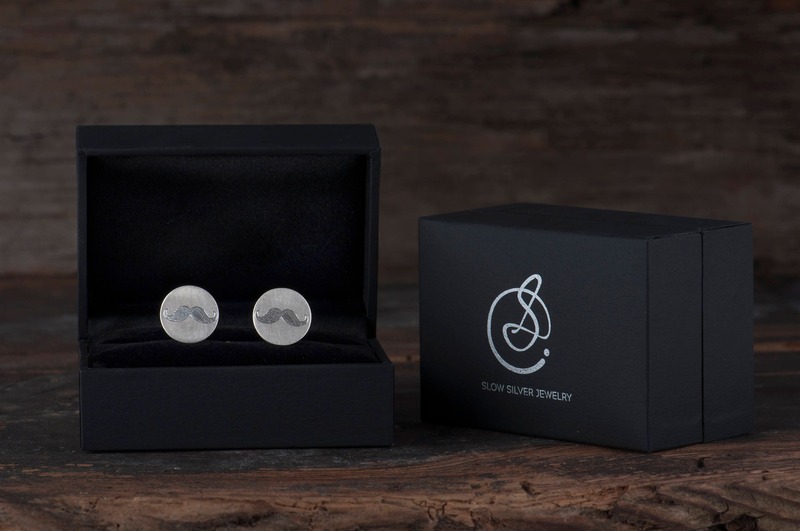 These wedding cufflinks will arrive in an elegant black jewelry box and are ready for giving. I need one business day to ship them to you or (if you will) to the recipients front door including a special card with a personal message from you.